The breadth and depth of Big Data is driving the universal need for higher capacities across a broad spectrum of applications and workloads. 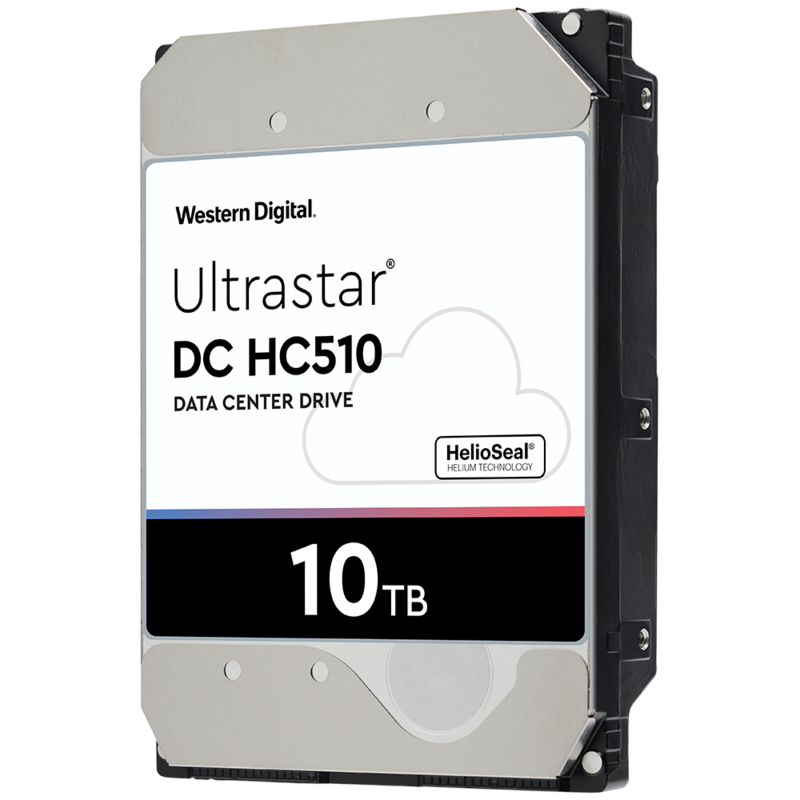 Laying the foundation for a worry-free data center, Western Digital delivers the capacity to conquer the data explosion with the Ultrastar DC HC500 series of hard drives. Built using HelioSeal technology, the industry’s only fifth-generation helium platform, the DC HC500 series is designed for public and private cloud environments, where storage density, Watts/TB and $/TB are critical for creating the most cost-efficient infrastructure. HelioSeal technology is key to achieving higher drive capacities, greater reliability ratings and extreme power efficiency. The result is a lower Total Cost of Ownership (TCO) for our cloud and enterprise customers. Download the Ultrastar DC HC510 Datasheet (PDF).